A bus duct system an effective method of distributing power to your switchboard and other loads. A bus duct system an effective method of distributing power to your switchboard and other loads. 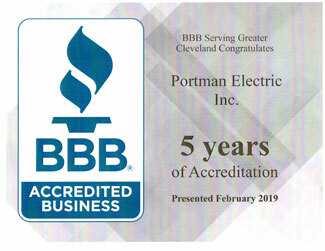 Bus ducts in Cleveland and Northeast Ohio, overtime can experience mechanical damage and dust accumulation, which can lead to catastrophic damage. Since bus ducts are mainly used to effectively and efficiently supply electricity to Industrial locations any damage can lead to costly and extensive downtime. In order to protect bus ducts against mechanical damage and dust accumulation, copper or aluminum conductors are used to completely enclose and insulate the bus duct. 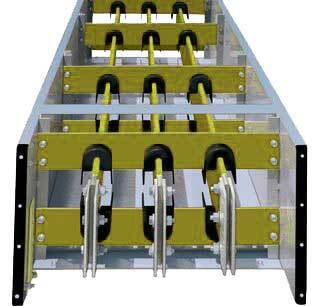 Bus Ducts Fall into Mainly Three Categories; Non-Segregated Phase, Segregated Phase, and Isolated Phase. Non-segregated phase bus ducts: All phase conductors of the duct are all housed in a common metal enclosure with no barriers between the phases. Segregated phase bus ducts: All phase conductors are enclosed in a common metal enclosure but they are segregated by ground metal barriers between each phase conductor. Isolated phase bus ducts: Each phase conductor is enclosed in individual metal housing and is separated by an air space. All three bus duct systems have all the same ratings and are identical in application. So why chose one over the other? Segregated bus ducts are considered slightly more reliable than non-segregated and isolated. When manufactured, industry standards are meticulously followed to ensure that these bus ducts provide varied voltage capacities in order to meet exact application demands. The segregated bus duct production process takes in consideration various factors like heating effects, thermal effects, electro dynamic force and voltage drop. Due to their rigid design, they offer clients minimal maintenance and reliable functioning.